This is post’s images are under construction to fix a glitch, thank you for your patience. On his debut album Nature of the Self rapper + producer Siva Baskaran (aka Native Indian) blends jazz, synth-pop, hip-hop, dance music, and a plethora of samples to create a kaleidoscopic sound-scape — spanning continents and musical traditions. This sonic melange sets the stage for Baskaran’s sci-fi / fantasy exploration of the history of identity + the self: featuring Rastafarian robots, post-singularity deities, and philosopher AIs. Siva Baskaran said: “I’ve always been inspired by non-musical sources like games, comics and films. So I wanted to create this semi-fantasy, semi-realistic story that branched out from all the inspiration that I had kind of gathered over the years.” He is 29 years old and based in Chennai, India. An automotive engineer by training, Baskaran joined Toyota after he graduated. But he quit soon after to look for work in the music industry. 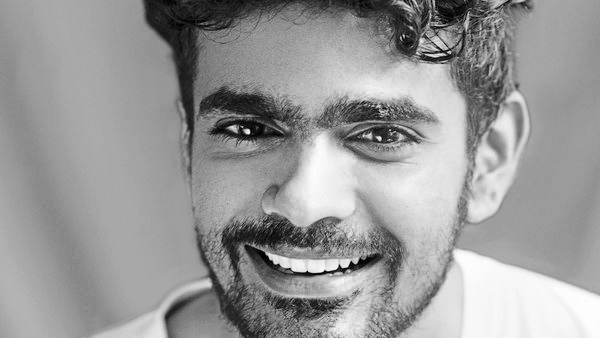 He took up a job as an events manager at the Swarnabhoomi Academy of Music in Chennai, before moving to Mumbai, India — where he managed a number of popular indie artists, including bass music producer Sandunes and multi-instrumentalist Sid Vashi. The Native Indian project was conceived about 4 years ago, when Baskaran was still in Mumbai. He initially wanted to put a band together, but quickly realized that he had neither the time nor the bandwidth to juggle both a day job and a live music act. So he started experimenting with electronic production, putting down loops and song scratches that drew from the rich — and often noisy — tapestry of sounds around him. Early last year, Baskaran took time-off from his day job to convert these loops into fully fleshed out songs, tied together by a loose narrative inspired by his interest in futurism, science fiction, and philosophy. The 7 tracks follow a god-like being from the future who travels back in time to unearth the roots of his mental and physical conditioning. The works of inventor Ray Kurzweil + philosopher Yuval Noah Harari PhD are important touchstones for Baskaran — who also took inspiration from comic books and his own dreams. With the album released April 2019 on the independent Boxout.fm recording label, Baskaran is already looking at the follow-up. He plans on collaborating with comic book artists to create a visual representation for his narrative, as well as start work on the stories for the next record. Have you forgotten your one true purpose? Singularity is near , don’t you see it?